Vermont Businesses for Social Responsibility (VBSR) is a non-profit, statewide business trade organization with a mission to advance business ethics that value multiple bottom lines- economic, social, and environmental. We strive to help members set a high standard for protecting the natural, human and economic environments of the state’s residents, while remaining profitable. Founded in 1991, VBSR has more than 700 members across Vermont. Our Champion Members include The Alchemist, AllEarth Renewables, Ben & Jerry’s Ice Cream, Green Mountain Power, Magic Hat, Northfield Savings Bank, National Life Group, Seventh Generation, Villanti Printers, VSECU, and SunCommon. • Thermal emissions represent the second largest source of carbon emissions in Vermont – 42% of Vermont’s energy use and is responsible for 35% of our greenhouse gas emissions. • In 2007, the state of Vermont made a goal of weatherizing 20,000 homes by 2020. Current projections have Vermont falling 6,000 homes short of that goal. • The Vermont Department of Health estimates that the 10-year benefit of weatherization, in health and fuel savings, is nearly three times greater than the initial investment per household. • Efficiency supports the largest number of clean energy jobs in Vermont, with 10,600 jobs as of the end of 2017. Of those, 7,800 Vermonters are employed in weatherization and thermal efficiency. • Vermont needs a weatherization workforce-training program that matches the recommendation from the Governor’s Climate Commission that we increase the pace of weatherization. • Achieving higher levels of education after high school (four-year degree or certification) is frequently linked to higher wages, better jobs, and increased lifetime earnings for workers. • VBSR supports the Advance Vermont goal of 70% of working age Vermonters possessing a degree or credential of value by 2025. • Helpful to codify this goal in statute – 42 other states have similar goals created through legislation or executive order. 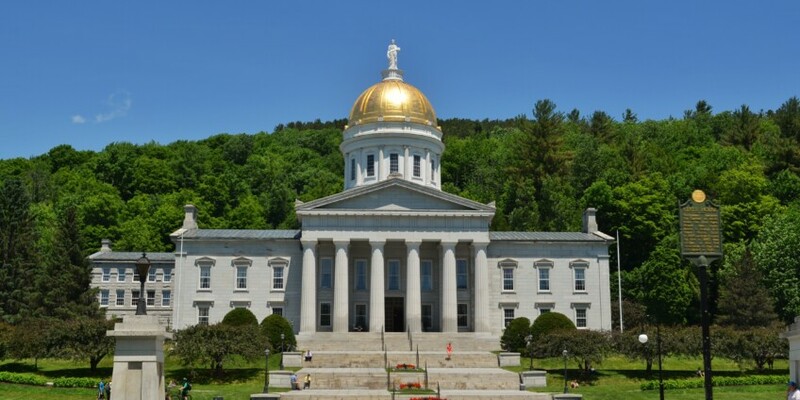 VBSR supports forming a taskforce to advice the state of Vermont and the Vermont Legislature on the vital next steps to create workforce opportunities for new Americans, immigrants, refugees, and asylum seekers. About 16,000 immigrants were part of the Vermont workforce in 2015, working in industries such as health care, manufacturing, food services, and retail. The number of working Vermonters has declined in recent years. Coupled with a tightening job market, this had led to some employers unable to fill available positions within their companies. There is an opportunity here for Vermont to boost the strength and size of our workforce by finding ways to reduce the barriers to employment for immigrants in our workforce. Despite a growing need for more workers in the U.S. economy, there continues to be institutional, social, and economic barriers for Vermonters with criminal histories in seeking employment – the “second chance” at rebuilding a life following incarceration or arrest. VBSR strongly supports the efforts in this bill, but notes that there is much more to do. • Fidelity bonds: These may be important in some industries, but most employers in Vermont hiring workers with criminal histories do not require fidelity insurance. • Wrap-around and support services, such as recovery coaching for those with substance use disorder, are essential to ensuring that their work experience is positive and productive for the employee and employer. • Lack of transportation is often a major barrier for second chance employees in finding and keeping work. This impact is profound in rural Vermont, where there are more limited public transportation or ride-sharing opportunities. • The average student graduating from college in Vermont in 2017 had about $28,000 in loan debt. • Growing number of employers offering to pay off student loan debt – programs similar to 401K programs. • H.290, sponsored by Rep. T om Stevens, would create a deduction on taxable income of up to $5,0000 for student loan debts paid for by an employer.